The system of karate taught and practised in this school (or "dojo", i.e. training hall) is the Japanese Ashiharakai style. 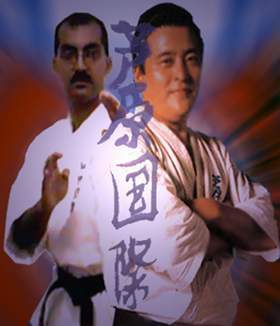 This style or Ryuha, was founded by the late Master - Hideyuki Ashihara, a man who devoted all his energy into creating a scientific and more safer karate. Hoosain Narker, have had the honour and the opportunity to train at the Honbu Dojo of Ashihara Karate in Matsuyama City in Japan. In the '80's he also spent a few months as an "uchi-deshi" with the then 2nd in charge of Ashihara Karate, Shihan Joko Ninomiya. He has also, on a regular basis travelled to many other countries over the past 20+ years, training with many fine International Sensei. Kaicho Narker have attained dan grades in not only Ashihara Karate, but also in other disciplines. Other than being the Director and General Instructor of Ashihara Karate for the World, he also holds a senior position in TaeKwonDo. 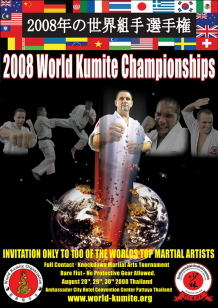 Whilst not tournament oriented, he has competed with distinction in numerous championships, locally and abroad. This karate school does not merely teach karate as a method of self-defence, a sport, or a form of exercise and body conditioning. This school teaches the karate-do; that is, karate as a way of life. Karate-do is an all-encompassing way of living and thinking. All the kicking and punching techniques of karate put together constitutes less than 5% of karate-do. Anyone interested only in the striking movements of the art (karate-jutsu) is advised to look elsewhere for instruction. 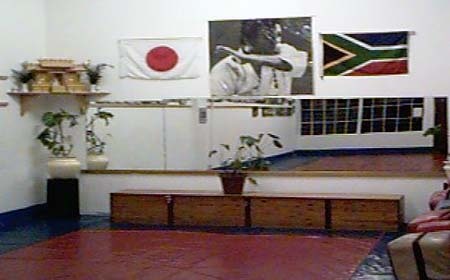 This dojo stresses the mental and spiritual aspects of karate as well as the physical applications. Ashiharakai is a system which stresses the ultimate or highest peak (kyoku) attainable through the practise of true (shin) karate. The word karate means the hand (te) guided by the mind, empty (kara) of conscious thoughts; in other words, the intuitive mind. "Do" is the way. All classes in this school will begin and end in a traditional kamiza ceremony, which includes meditation, bowing to show respect to the teachers and to each other, and the recitation of the school creed (dojo kun). This is not a religious ceremony nor an act of worship. All students will address all instructors as either "sensei" or "senpai". Students will not turn their backs to the instructors at any time during practice, unless required by the performance of an exercise. Students will abide by all the rules and regulations of this dojo at all times. Failure to do so may result in immediate dismissal from the dojo. Discipline is paramount in the practice of any martial art. The benefits of karate practice is many. The road to mastery of this way is long and arduous, and there are no shortcuts. Over 10,000 repetitions are needed to master one technique. Four years is the minimum time required to reach the first degree of black belt, at which point one is not a master but merely an advanced student. 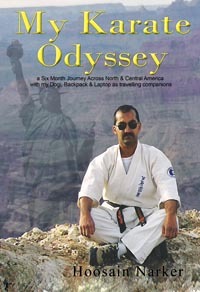 Fifty years of training is needed to reach the highest level of black belt. Since starting his training with the Shotokan Ryu in 1974, Kaicho Narker has practised karate for more than 30 years and he still regards himself as a student of this martial art, for it takes a lifetime to achieve true mastery. 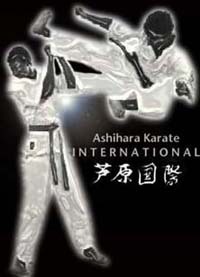 This school is affiliated with Ashihara Karate International. All beginning students are required to become members of the organisation. Upon becoming members, they will receive a "Budo" book, and they will be entitled to wear the Ashihara emblem as well as their dojo emblem on their uniform (dogi). There are many other benefits from membership. No ranks will be awarded in this academy unless they are certified by Ashihara Kokusai Headquarters. Each kyu promotion following membership carries a new certificate of rank and the grade will thereafter be registered in the international archives. All members must renew their yearly membership at the beginning of the year, the budo book must be returned with the renewal fee, and a renewal stamp will be issued. Members can expect to be welcomed at any of the affiliated schools and enjoy a week or more of free workouts at any such school they may choose to visit.